Listen for your cue to call, weekdays at 6am (excluding Major Holidays). Call in to be “WLBC’s First Listener of the Day,” and win a Great Prize! Official contest rules apply…with ONE exception – Once you win, you’re a winner for life! Listen to Kim Morris weekdays for the Free Fuel Noon Hour Sounder, sponsored by Kia of Muncie and the Fuel Prize Powered by Via Credit Union…you guessed it…in the noon hour! Kim Morris quailfies a listener a day during her midday show on 104.1 WLBC. Each month, she’ll draw from all the qualifiers and one lucky winner will get a $200 gas card!! Don’t forget to tune in to the midday show for your chance to win FREE GAS! Special thanks to our Sponsors – KIA of Muncie & Via Credit Union! Listen to the WakeUp Crew weekday mornings at 7:40am. We spin the Pizza King Birthday Wheel (we have a real wheel!) and Steve announces which birthday is chosen for that day. 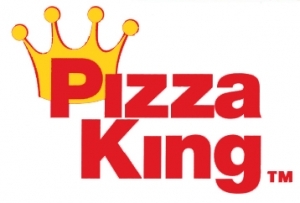 If your birthday is chosen, be the first to call in and you could win Free Money to Pizza King PLUS other goodies! Once you’re on the phone, we’ll ask you the decade of your birth and if we guess the correct year of your birth, you’re entered into the drawing for a monthly prize!